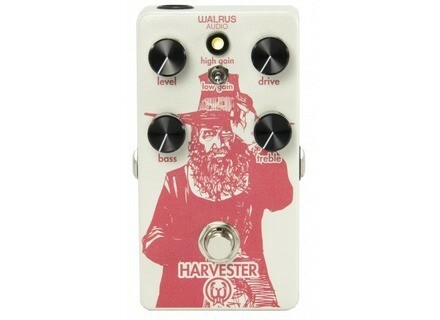 Harvester, Overdrive pedal from Walrus Audio. 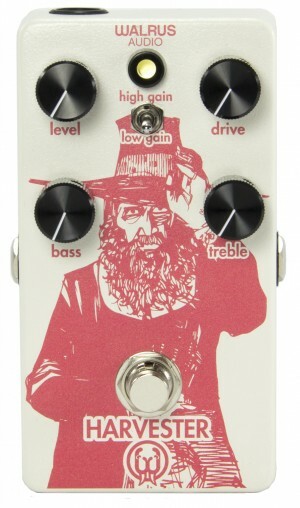 Walrus Audio celebrates Thanksgiving with the limited edition Harvester overdrive pedal, which will be available next Friday. Harvester is a mid-range overdrive for guitar that features Level, Drive, Treble and Bass knobs as well as a High/Low Gain switch. Walrus explains that Harvester can take your sound from subtle and transparent overdrive to a thick and « in your face » effect. When enabled, the High Gain setting clips and boosts the signal, which allows for true distortion with the Drive knob. This special edition is available in four finishes: White Smoke with turquoise graphics, Goldenrod with russet graphics, Sea Green with white graphics and Ghost White with salmon graphics. You can pre-order your Harvester now at walrusaudio.com for $189, the stompboxes will be available Friday November 28th. Gibson launches the Firebird 7 Gibson USA has taken the classic Firebird reverse designed and has improved it in a new model with three full-size humbucking pickups. (Almost) All Eventide in the H9 Max Eventide launches the latest edition in the H9 multi-effect series for guitars and will offer one H9 Max Gold 24k limited edition. Simulate a 12-string guitar with Mosaic Mosaic, DigiTech’s latest polyphonic effect pedal, will add body and dimension to any 6-string electric and electric-acoustic guitar.